It is not a secret anymore that the Algarve has perhaps some of the best beaches in Europe. The Algarve has a coastline of about 200 kilometres, which contains more than 150 beaches. From long sandy beaches on the islands and some parts of the mainland of eastern Algarve to a combination of beaches formed by sand and rock formations. The beaches in the Algarve have a fine, golden or white sand, which determines the aesthetic outlook of the beaches. The sand is very comfortable for walking on the beaches. The combination of sandy beaches, rock formations and one of the best climates in Europe have turned the Algarve primarily into a summer and sea destination. Whether you come for nature, party, or culture, the climate and the beauty of the beaches usually play an important role in the visitors choice of the Algarve as a holiday destination. • The western Algarve. 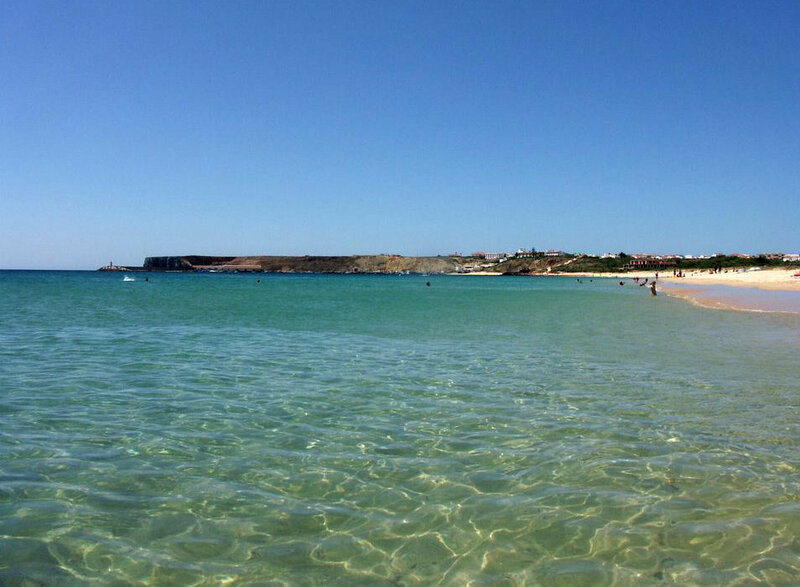 Beaches in the western Algarve are all beaches between Portimão and Sagres. • The central Algarve. Beaches in central Algarve are all beaches between Faro and Lagoa. • The eastern Algarve. Beaches in the eastern Algarve are all beaches between Faro and Vila Real de Santo António. Beaches in the central Algarve area are among the most crowded of the Algarve during the summer. Even so, it is always possible to find a spot. The beaches here are surrounded by impressive gold-coloured cliffs. The western Algarve also contains some of the best beaches of the Algarve. To the west of Portimão, beaches are usually less crowded than many other Algarve beaches. Beaches here are also surrounded by breathtaking cliffs. In the eastern Algarve however, beaches have no cliffs. The coastal line is low with dunes and large sandy surfaces. There are also some barrier islands consisting mainly of sand and sediments. Another advantage is that as the sea shore is shallow, the water in the eastern Algarve is usually warmer, up to 26 degrees. The Algarve has several islands, mainly near Faro, Olhão and Tavira. These islands are perhaps some of the finest beaches of the Algarve. All of these islands can only be reached by boat. All islands in the Algarve are permanently inhabited by some people, with the exception of Ilha Deserta. 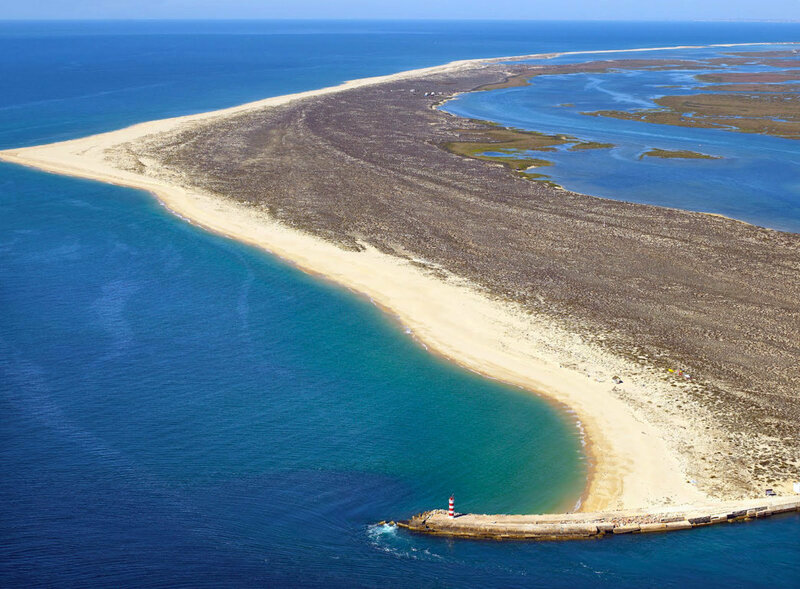 On these islands you will find always enough space to be away from crowdy beaches of the mainland of the Algarve. Moreover, if you are willing to walk 1 or 2 kilometres from the point of arrival, you will hardly see any other people on the beach. The temperature of the sea water in the Algarve depends on many factors, mainly the wind direction and deep water streams. When the wind blows from the southeast (in Portuguese this wind is called sueste), it brings not only warm air, but also warm water from North Africa. Usually this wind lasts for three days, during which the sea is rough. Afterwards, the sea water becomes clearly warmer. Temperatures of the sea water in the Algarve vary from east to west and from summer to winter. In the eastern Algarve (from Monte Gordo to Faro) it is usually warmer (about 22-26 degrees in summer). The further you go towards the west, the colder the water gets. 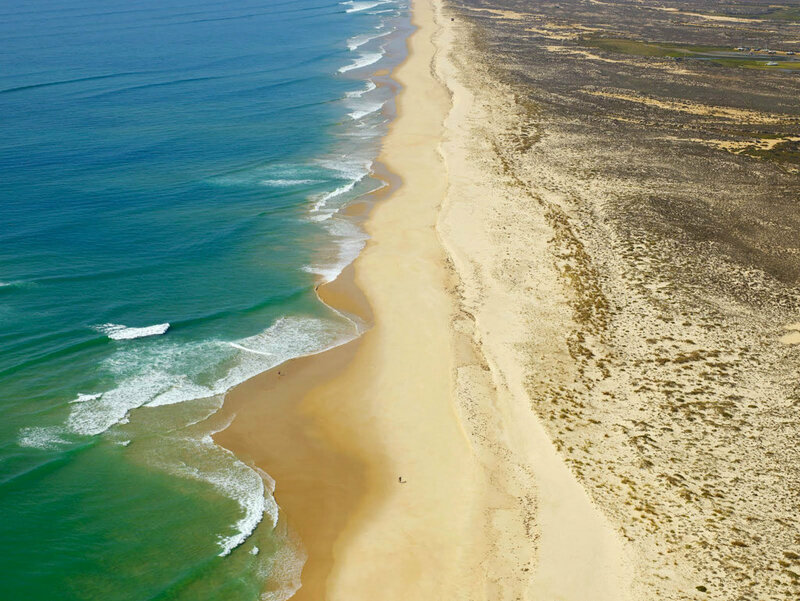 For instance, on the western coast (Costa Vicentina), the temperature of the sea water in the summer is mostly between 17 and 20 degrees. But the main difference is between the west coast, affected by the gulf stream, and the more protected south coast, which receives more influences from North Africa and has Mediterranean-like conditions. The water quality in the Algarve is generally speaking very good. There are almost no industries and all cities have waste water treatment plants since Portugal belongs to the European Union. If you would like to learn more about Algarve beaches, there is a good publication of the Algarve Tourism Board has detailed information. Below you can find our selection of the best beaches the Algarve has to offer.